We finally launched our inaugural Applied Operating Model Design (AOM) course in London on June 12-15. I was so pleased to be able to attend, and have the chance to see our CEO and Founder of Stratability, Julie Choo, in action. Julie had just flown back from a big trip to deliver the course to clients in Sydney, Australia on May 22-25 along with our strategic partner EA Learning, as well as to investigate our expansion into Singapore. There was no sign of jetlag from our course author and instructor as she delivered a performance packed with many interesting case studies. The experience, for me and our other attendee clients (based on their qualified feedback of course) was rather inspiring. Over 4 days, myself and the other attendees experienced numerous stories from all of Julie’s experiences across her 20-year corporate and entrepreneurial career. This enables her to explain not only WHAT the Operating Model really is but also How to design a Target Operating Model (TOM) that delivers (Julie wrote about this in detail in an earlier blog). Based on THE STRATEGY JOURNEY® book (coming later in 2017), and the corresponding framework, the AOM course is highly practical and not at all theory based like many other courses. You can see everyone in action from the photos! As an attendee, what I found to be most valuable, was the exercise we did to build a real Customer Journey Map that is linked with a Value Stream. We learnt how to create full traceability across the Operating Model, through the value stream which can be linked back into the Capability Model of a organisation, which also traces back to the strategic Mission Model of the business. As a marketeer, I was certainly not versed with many of what originally seem like technical terms related to a highly technical subject like the Operating Model, but Julie managed to explain it to all attendees, including those like me who had no formal background in anything to do with Business Transformation. I feel I am now ready and capable of working on, and supporting the design, as well as the execution and delivery effort, of a full blown Operating Model Transformation programme. For our case study it was a bank. But fear not, we didn’t need to know about banks or have even worked at banks. The case study, BankCo, was just there to help us think about the impact of digital transformation and data intelligence, or big data transformation, in our rapidly changing business ecosystem. Yes, instead we learnt to build the Capability Model for shared services like a Digital Bank or Technology Organisation, and a Research and Data Analytics Center of Excellence (COE), designing how these organisations would operate. These shared services would serve a large organisation that needed to operate in multiple locations, such as a bank, globally. We even learnt how some successful companies have managed to change their culture to have Innovation as their DNA (which is not just limited to Amazon) and the strategies they applied which can easily be implemented in any company. SO WHAT DO PARTICIPANTS THINK OF THE COURSE? Another attendee, who was the CIO of a global media company that operates in over 25 countries provided great feedback about how the course should be delivered to more members of senior management especially the C-Suite in firms. 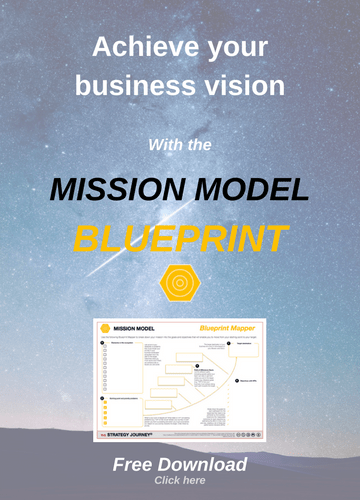 He was very keen to start applying what he has learnt on the Mission Model back at his firm, as part of capturing the strategic mission and vision from his CEO to support the transformation efforts in his organisation. Many of our independent attendees, who were freelance business analysts and business architects, asked for even more detail into THE STRATEGY JOURNEY® framework and this highly practical and innovative technique, as well as many tips on how to develop their business architecture careers, which Julie was only too happy to support. It is natural when you attend any kind of training, to compare what you knew about before the course to what you learnt while you were there. For example, I knew the statistics about the financial and related costs to business when change or transformation projects fail. During the course, through the case study and other related real-world examples (from Julie and the other course participants), I learnt more about the ways in which large corporates are impacted in a very real way, rather than just seeing this through the lens of more statistics. Julie, as the course leader, created a space where everyone could share their experiences in confidence. This was really beneficial. Listening to people talk about their experiences, as well as seeing other examples illustrated in the course pack, put a lot of context around the course for me. In the two inaugural courses, our alumni included a CIO, Business Architects, IT Change Partners, Head of Strategy and Architecture, Department Heads, Practice Managers and Business Analysts. They came from industries including Media, IT, Public Sector, Energy, Financial Services, Consultancy and even the military or defence force. All alumni from the course have access to our private AOM Portal and Linkedin Group with up-to-date resources, articles and white papers, and access to additional content relevant to the course. As well as resources this is an ideal place for everyone to continue their learning, a space for people to ask questions, share knowledge, and wins, as they traverse their own strategy journeys in Operating Model Design. The Target Operating Model (TOM) is not this distant impossible-to-achieve state that businesses can never attain, even if its just 5 years away. There isn’t one TOM, but many that the transformation model needs to deliver along a roadmap, with different levels of certainty, in 6 months, 12 months, 18 months and beyond. Operating Model transformation should not only be continuous but can actually be part of a business as usual (BAU) process. Operating Model excellence comes from true understanding of process and data to provide useful information. Data is key, as it has become a true commodity in its own right that can be valued and traded. There are also many more intelligent use cases, especially with the growth of Big Data and Artificial Intelligence or Machine Learning. It’s not possible to transform unless there is a powerful communications strategy that facilities a change in culture which brings people along the strategy journey of change – it’s all about hearts and minds. The power of taking an outside view, putting yourself in the shoes of the customer to define the customer journey, is very powerful. It is key to identifying how to prioritise change and to set new customer centric key performance indicators (KPIs). You can breakdown the Operating Model into parts using value streams and process and then build it back up again, by MODELLING FOR A PURPOSE. It’s what allows the alignment to strategic objectives or strategy. It’s not about delivery for the sake of delivery, but using that link back to the Mission and Vision, or the strategy objectives in the Mission Model, to inform the roadmap. THE STRATEGY JOURNEY® framework is not linear or sequential. It is end-to-end and when the destination is reached it all starts again. What do I mean by this? Well, from a practical perspective, change can be initiated along any of the 5 stages of THE STRATEGY JOURNEY® Framework. But it’s about going back and getting the right inputs to get the right outputs. What I like is that Julie gives you tips and tricks on how to manage challenging stakeholders at any stage. With this holistic approach in mind, the whole course is set up to give you that ‘Aha’ moment. I think mine was when I realised that this process of designing and executing a Target Operating Model, of bringing change to an organisation, is about making change part of what you do. It is continuous. The real-world examples of companies and organisations that run a great business are those where there is a mindset of change. It is not seen as a threat, it is seen as the way they do business, they change and innovate to continue to reach their goals, achieve their Mission and push themselves forward. Making change part of what you do as an organisation is hard. Especially when your organisation is a large public sector body, or a corporate where egos are out of control and change has been taken to mean a constant reshuffling of the org chart. When change becomes part of what you do, and budget is allocated to new initiatives that are aligned to your Mission and Vision, your Value Model, your Customer Journey, and not just to a general siloed ‘change’ department, then the real magic happens. In today’s highly digital world, dominated by the Internet of Things (IoT) and Big Data or AI, it’s becoming clearer than ever that companies and organisations don’t just differentiate and succeed in a highly competitive environment based on new business models. They also need an agile operating model to make any change towards these new business models a reality. Want to learn the ins and outs of Operating Model Design and develop an Operating Model for your organisation? Applied Operating Model Design has actually been updated and upgraded! The new course is called Transforming Operating Models with Service Design. 2018 Course Dates are available in London, Boston and San Francisco. With a background in high-value fundraising events for a national charity, Laura is now an experienced writer and research specialist – including being the lead researcher for THE STRATEGY JOURNEY book. She brings the Customer Journey to life through blogs, content and social media to give SMEs and startups an edge when it comes to building their online communities. She writes on tech, business and strategy as well as sharing her passion for running, baking, thrifting and her allotment with her audience on Instagram.